The HP Compaq t5530 Thin Client delivers a great desktop experience for general office applications or your specific line of business software. 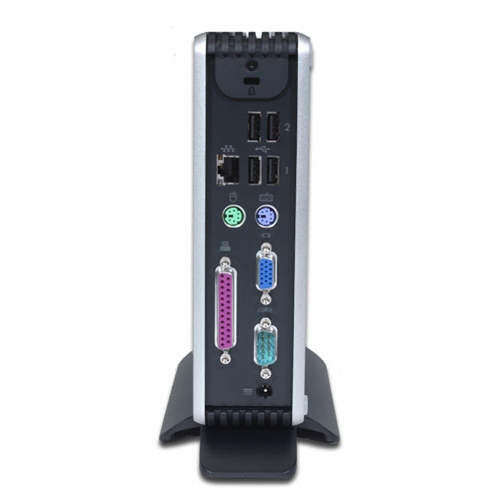 This unit's enhanced features make it ideal for mainstream business use, with support for legacy ports, ICA, RDP, terminal emulation, Windows Media Player, and basic web browsing. The HP t5530 can provide convenient access to server-based computing solutions, HP's Consolidated Client Infrastructure (CCI), or a variety of remote desktop solutions. HP thin clients lead the way with proven business technology for maximum security and lower ownership costs, and are easy to buy, deploy, and manage with a great price-performance ratio. No moving parts for higher reliability, lower ownership costs, and extended product life. HP Connection Administrator makes it easy to lock down user settings and parameters on the client, or add a smart card reader for user authentication. Additionally, all critical user data and applications reside on your secure, centralized server. HP's alliance with Altiris brings a leading management solution to the thin client market. Altiris Deployment Solution's standards-based, advanced thin client management solution helps reduce the costs of deploying, updating and maintaining your thin clients. Free with each HP client! Microsoft Windows CE 6.0 offers you the choice of the familiar windows interface or a simple locked-down appliance.Do more: Citrix ICA client, Microsoft RDP client, Altiris Deployment Solution, Internet Explorer 6.0 for CE, terminal emulation, VNC, and Windows Media Player 9 let you expand the possibilities of thin client computing. T5530 Dimensions: (7.31 x 7.31 x 2.06 in) - without stand Stand. adds 1.9 cm (0.75 in) to height. Questions about the HP t5530 Thin Client? We can help. For more information about the HP t5530 Thin Client, or any of our products and services, call us at 1.800.457.8499 or email us. 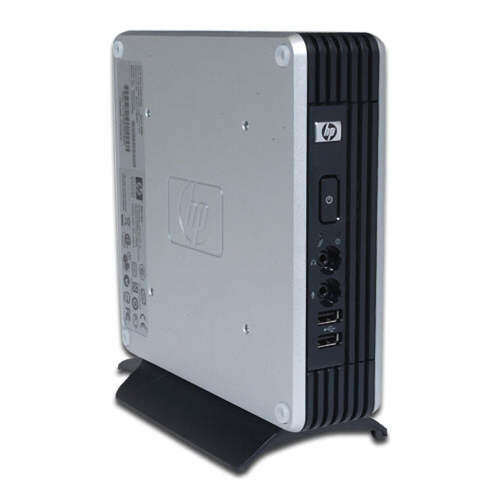 Order your HP t5530 Thin Client today. 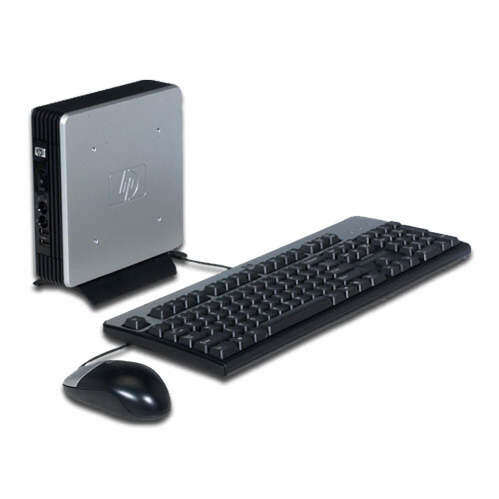 Order your HP t5530 Thin Client now. Your purchase order, with credit approval, is welcome, as well as all major credit cards, PayPal and Google Checkout. Remember, you'll get FREE technical service with every product you buy from Vecmar.